Happy Friday everyone...its another scorcher which is great if your a tiny watermelon. CITIZEN today to go with my t shirt..matchy matchy as sjb would say. It actually is starting to mean quite a lot to me, I acquired it from a Hospice and my father at the age of 70 passed away (5 years ago next month) in our local Hospice. 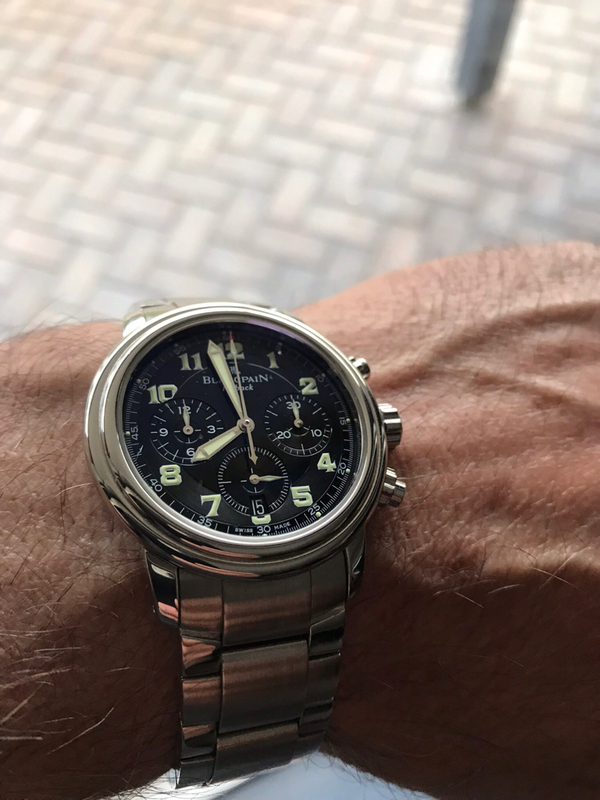 Somehow I have made the connection between this watch and him. They were very good to all of us and really did make his passing as positive and humane as it could have been. I think it's very fortunate for any watch to have a story and relevance attached to it like that...I know the feeling, and thanks for sharing ...The Citizen Miyota 8200 Series itself is now it its 44th year of continuous production—probably the longest movement production run of any "current" calibres, and virtually unchanged from its original design. Yours would have been one of the early ones. 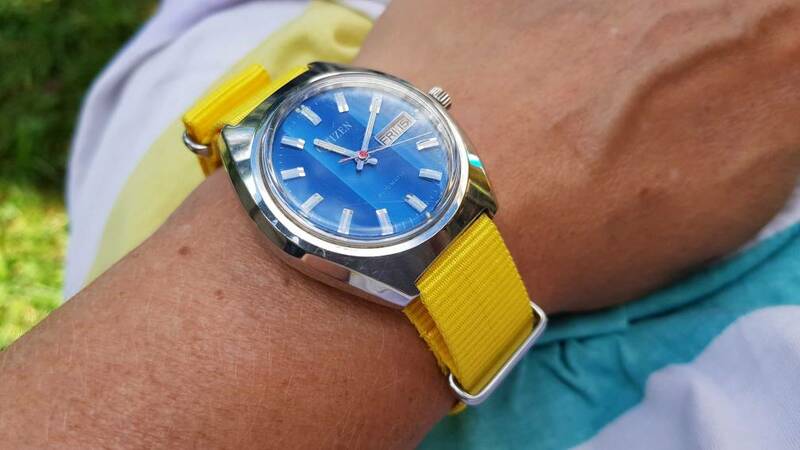 Many late-70s Citizen mechanical watches found in New Zealand would have been assembled domestically by Citizen NZ from imported parts, due to the tax structure at the time. Bam. Massive bang for buck. Last edited by kiwi.bloke; 15-02-19, 12:16. I love what NODUS does with hands. 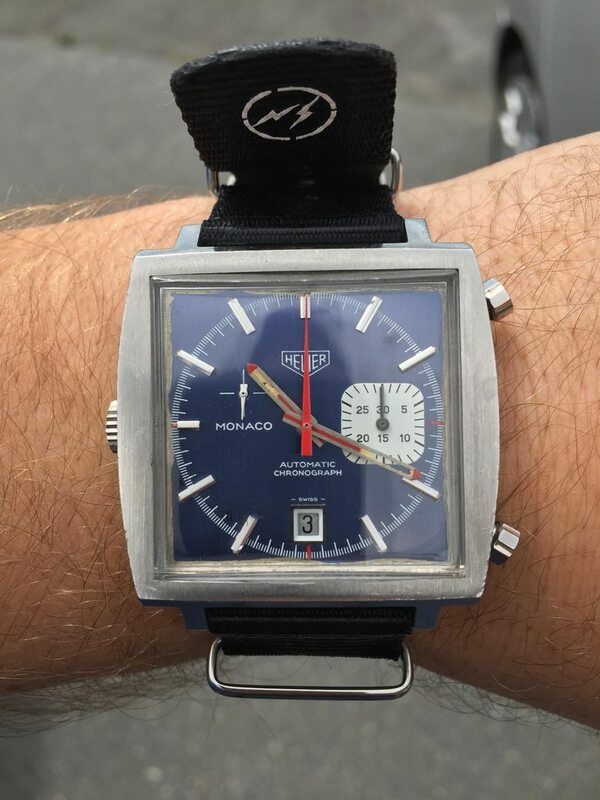 Heuer Monaco for me today. cyma I was thinking about a plan to acquire it too (timing was really off though ha ha), lovely watch and I am sure its a nice feeling its still in the 'family'. I love how this piece carries the look and feel of mid-70s DateJust 1601, but being younger years, perhaps more suited to daily wear. Hey guys, lovely comments, thanks! Pete, at least you know it's gone to a good home. If I only ever had one watch this one would be it. Don, you're absolutely right, this goes with everything, every day, any time. 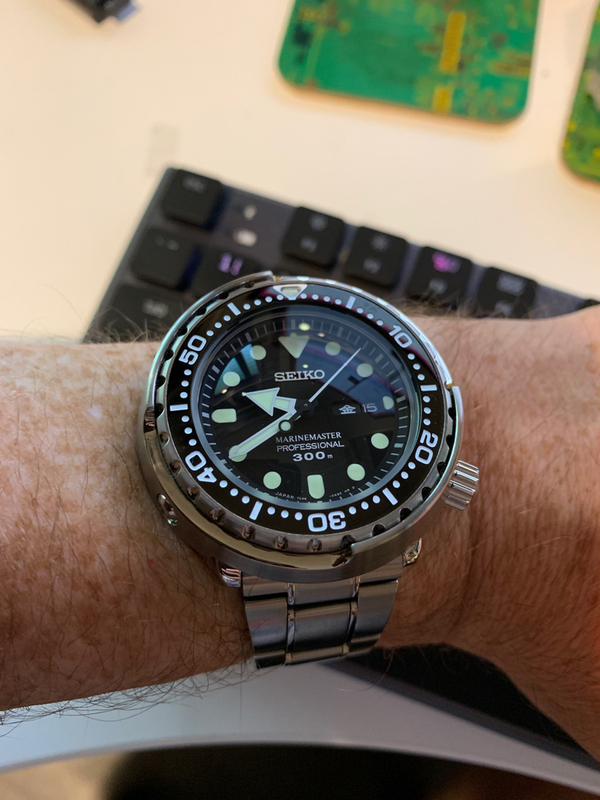 In the late-1960s, during the reign of the Submariner 5513 in the West and Seiko 62MAS in the Far-East, the Soviet built Vostok Amphibia dive watches for their navy. Rolex, Seiko, and Vostok had similar level of case technology, all three were equipped with durable work-horse movements. All three utilized compressor-case principle for depth resistance (though Vostok made most use of this with its ring-retained two-piece case back) through the use of thick deformable acrylic crystal. All three had protruding crown tube that required usual-at-the-time “big crown”--with Rolex and Amphibia having similar threaded canteen-type crowns. All three used bi-directional friction-type bezel. 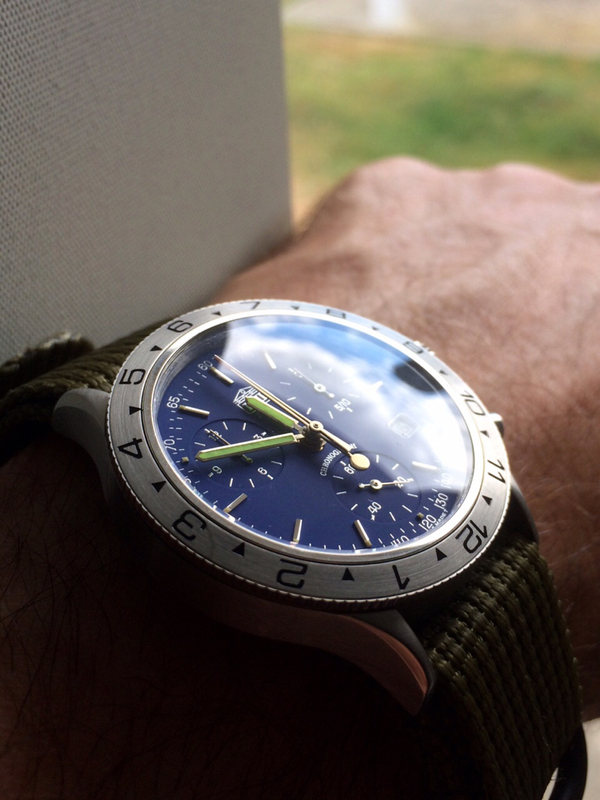 Half a century later, Rolex and Seiko have further developed their diver’s watch technology to what we see today, both using the latest industry-leading manufacturing practices and both world leaders in their own ways… But limited by their scarce resources, the Russian did not and could not change, instead continuing to use the same late-60s case technology, barely-improved old-world manual-labour-intensive factory assembly, frozen in time, in the cold of Chistopol, Tatarstan. Modern Amphibia are not a nostalgic revisit of the old days, but are the old days that had no choice but to persist for more than 50 years—their watchmaking industry is honest to a fault. 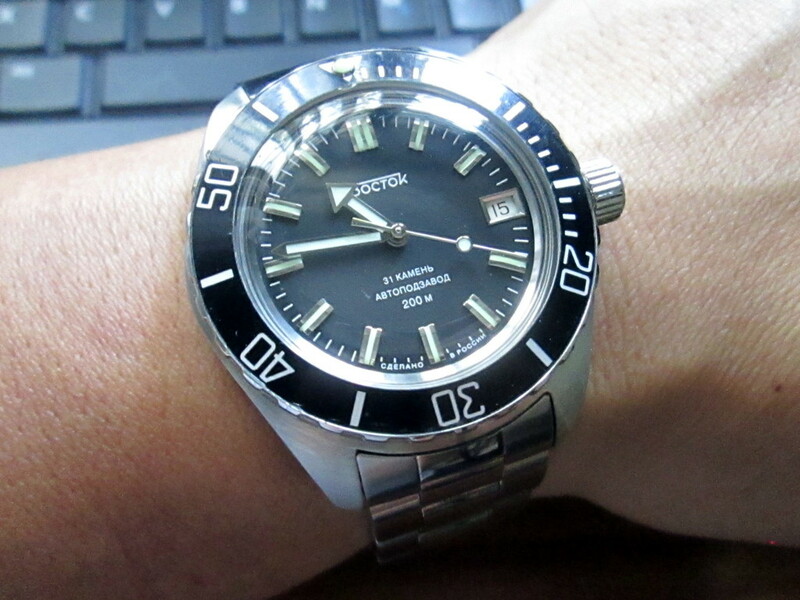 On my wrist today is the 20th Vostok that I have owned over the course of 24 years. Last edited by Don; 15-02-19, 17:19. OMG Don....I am ready with my popcorn in hand for the start of the movie, nice intro! Why was this so utterly enjoyable to read?! "... limited by their scarce resources, the Russian did not and could not change, instead continuing to use the same late-60s case technology, barely-improved old-world manual-labour-intensive factory assembly, frozen in time, in the cold of Chistopol, Tatarstan. Modern Amphibia are not a nostalgic revisit of the old days, but are the old days that had no choice but to persist for more than 50 years—their watchmaking industry is honest to a fault. 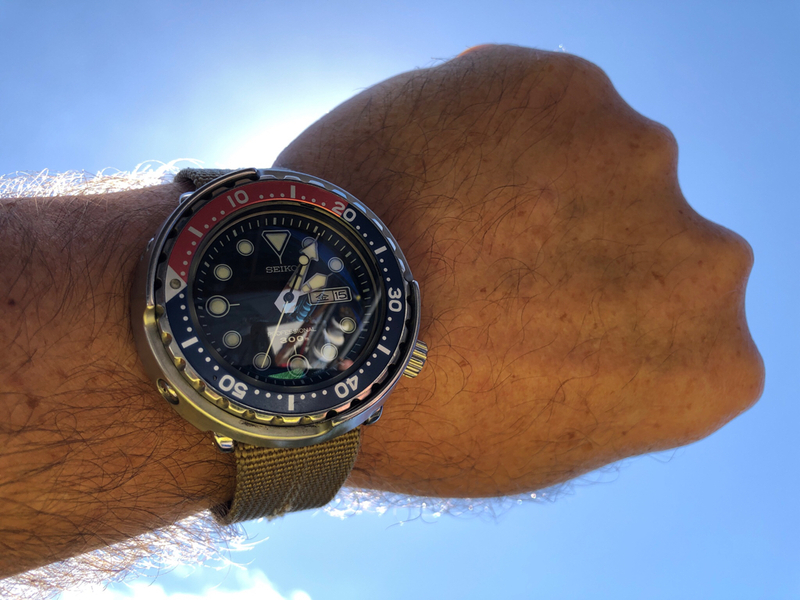 On my wrist today is the 20th Vostok that I have owned over the course of 24 years..."
probably because its friday night and I should be gearing up to watch a movie but the theatre system is stripped out while we wait for a new cabinnet...long story but i prematurely ran the skilly through our old cabinet! 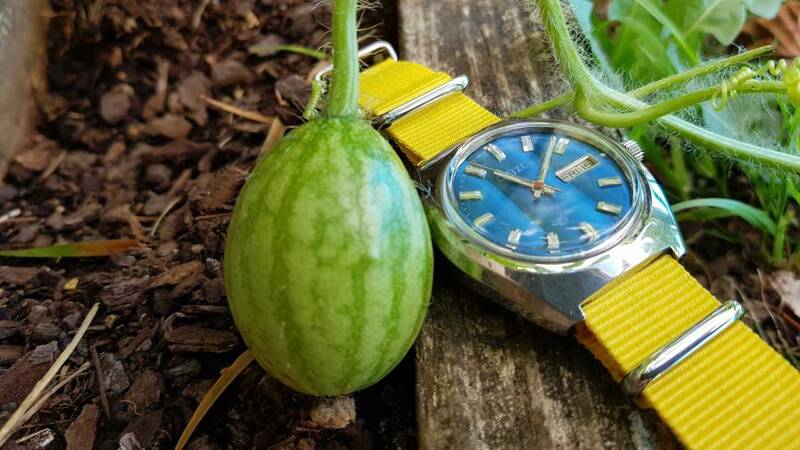 ..and Rolex Seiko and Vostok going head to head? Amazing. SHOM again today. Have a good weekend all. 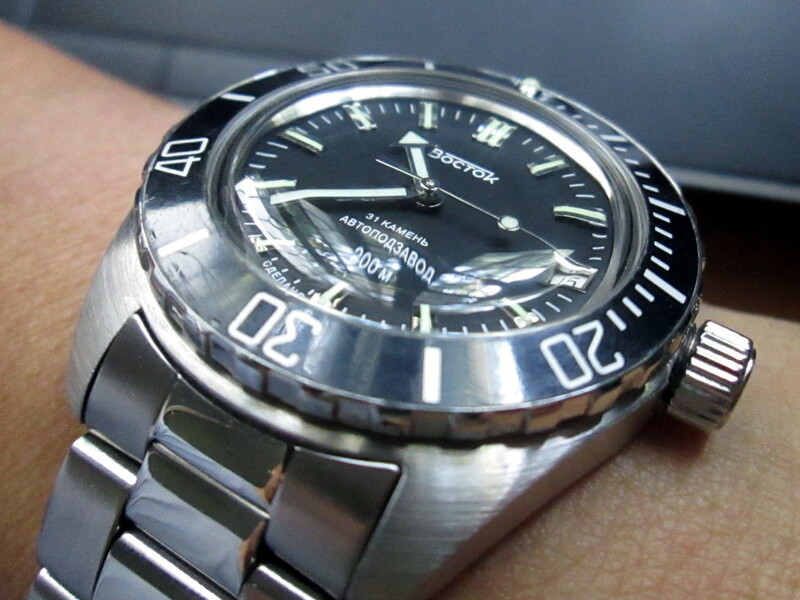 Yachtmaster today. And as of yesterday my other half is the now the proud owner of her own 35mm version! Congrats - that is very very cute! All times are GMT+12. This page was generated at 00:30.